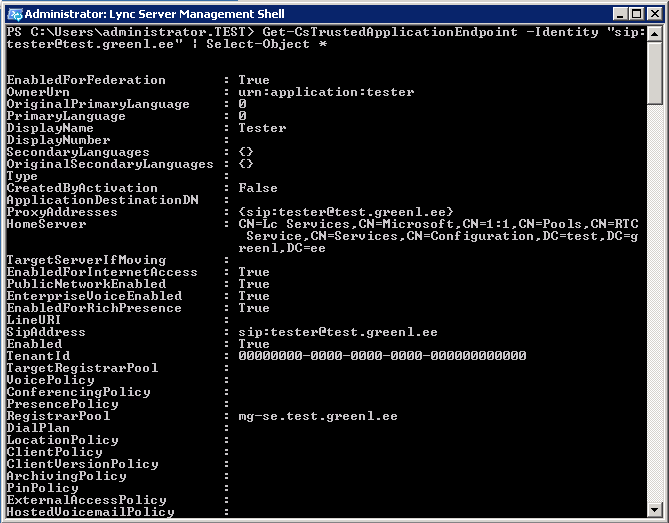 Normally, the Get-CsTrustedApplicationEndpoint command in Lync Management Shell doesn’t show any policy information about the trusted application endpoints, and so it’s easy to get the idea that they don’t HAVE any policies. But in reality, the policies are there — they’re just hiding. Lo and behold, all of the policy settings you can set for normal users are there as well. 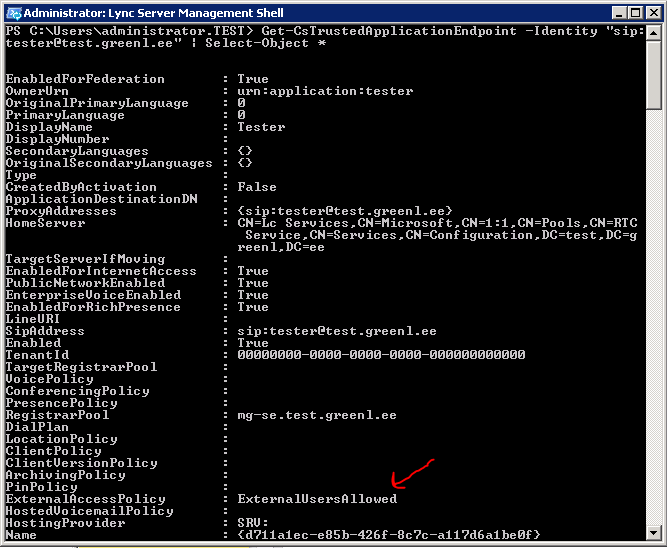 The trusted application endpoint now has the user-level policy assigned. Have fun granting policies to your endpoints, and, as always, let me know if you have comments or questions. “The client is attempting to join another endpoint that has not been provisioned” component=”Audio Video Conferencing Server”. I have checked the Voice Policy, Dial Plan etc. The TrustedApplicationEndpoint did just have the ‘Client Authentication, Server Authentication’ (Computer Template) certificate renewed. You just may have seen this issue before.